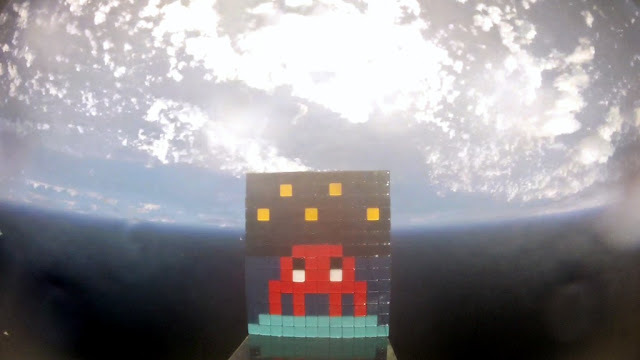 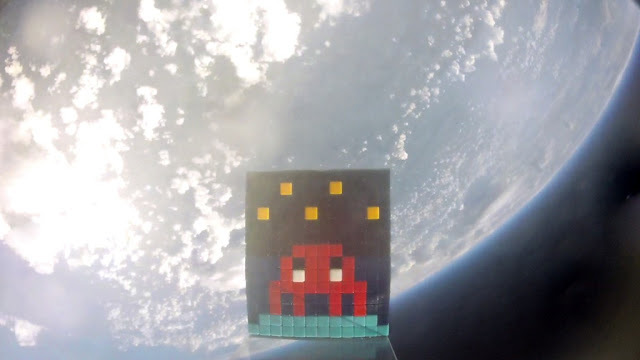 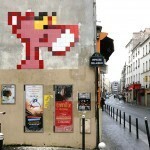 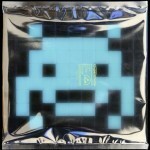 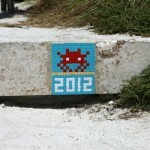 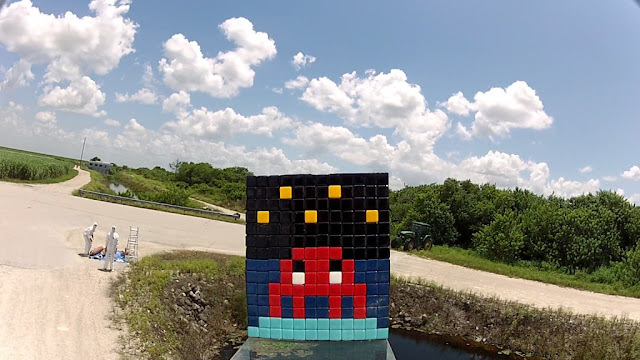 French street artist Invader recently launched his first space invasion from Miami, Florida. 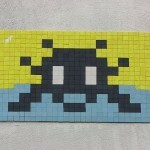 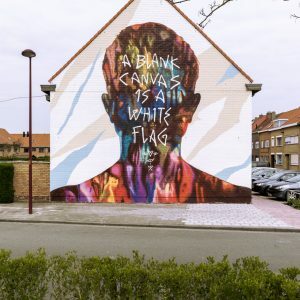 A month ago, the mosaic took off on a custom device elaborated by Invader. 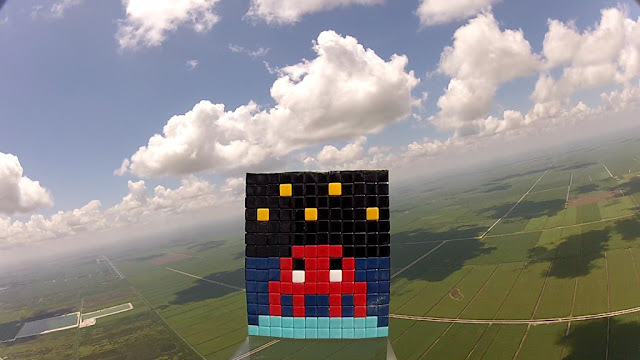 Equipped with a camera, the balloon reached the stratosphere before flying back down to earth to bring back those awesome pictures. 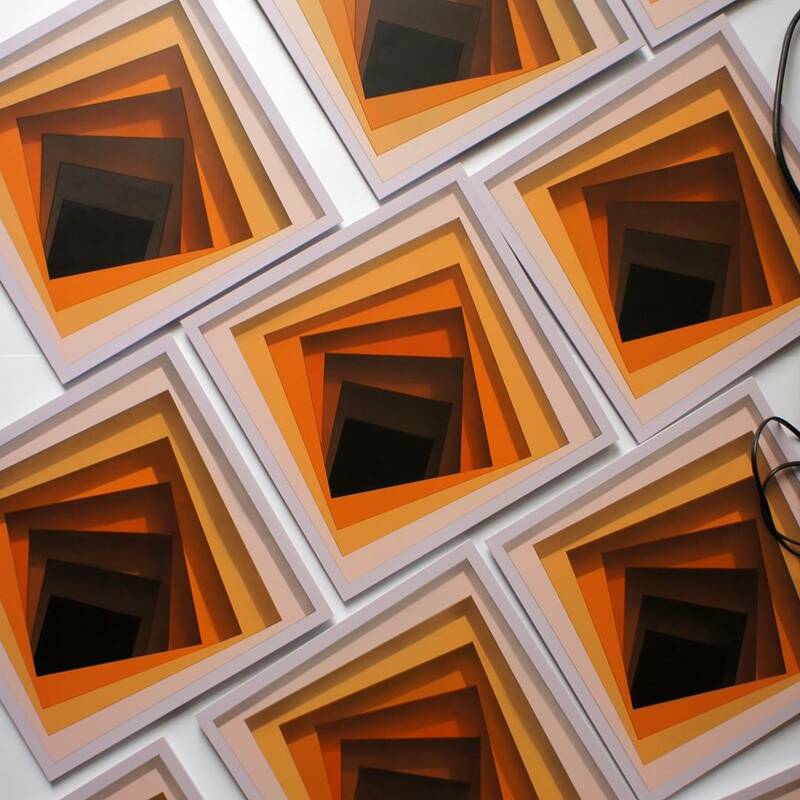 Check back with us soon for the soon to be released movie….